Managing cashflow is something banks and businesses do every day. That is why we were surprised to see research by PYMNTS.com that found 90% of companies across Europe, Middle East and Africa regions do not have a transparent view into their cashflow. Meanwhile, back here in the US, research by Atradius finds 33% of companies in the US carry invoices in accounts receivable that are 90 days past due. In banking, cash management products and services generate as much as 33% of overall revenue, but until recently, some community banks have been remiss in measuring or closely monitoring such programs. 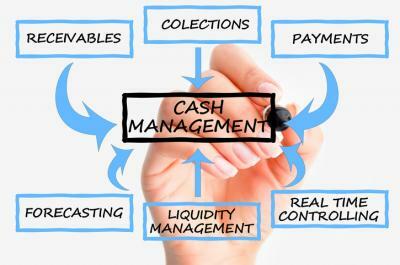 Most community bankers spend hours and hours looking at loans, but what about cash management? After all, community bankers clearly understand their lending revenues inside and out and most could readily cite at least 10 ways their loan portfolios are making the bank money. This probably does not hold true when it comes to cash management services. Without a keen understanding of where this funding and revenue comes from, it may be difficult to know where the best value, the highest earnings, and most promising opportunities may be. Ultimately, ignoring 33% of anything is a lot to ignore, so maybe it is time to put a team on this to take another look and kick the tires. Doing so may help the bank make decisions that could assist it in gaining efficiencies and/or greater customer product sales. The better this is done over time, the better chance the bank has to reduce its funding costs and gain deeper insight and opportunity with customers. Having a lower funding cost also gives the bank more flexibility on the lending side, when you are out competing for the business and have to decrease spreads now and again to keep or capture the very best customers. One area of cash management that has provided some support to community bankers is in the area of debit and credit cards. Interchange fees can be decent and the less people use cash, the more they seem to use credit or debit cards. Alongside this channel for fees, many bankers also collect fees from deposit accounts. While this has become much more highly regulated, there are some instances and account structures where it can still make sense and bankers might be able to still play. Up until recently, there has been a general lack of knowledge about managing, monitoring and measuring the performance of cash management products. At most community banks, there is no one person tasked with managing this revenue from a strategic standpoint. Further, given the traditional prominence of the lending business, many community banks simply lack a deep organizational knowledge about this area. However, this is changing as community banks look closer at what the biggest banks are doing and offering. Some have even hired inside or outside talent or ramped up training to delve deeper into this data. One of the easiest ways to do this is to get a good profitability model up and running and then take a close look at this area to see where opportunity may surface. When it comes to measuring and ultimately improving your cash management offerings and performance, it may help to think about what you are trying to accomplish first. That can help your team refine the goals and objectives so you can assign teams to delve deeper into each sub-area to surface where you might have opportunities and perhaps even risks. Getting going is the most difficult step and data can be very messy, so do not get discouraged. Find your heartiest employees and empower them to suggest changes to benefit both the customer and the bank. Once they get going, you might be in a better position at least to more readily discover where to focus your strategy. Yields swung up 3bp amid Trump's projected hefty military spending and high expectations for his speech to Congress. Research by Bank Director finds the primary reasons bankers cite for walking away from an M&A target are: price too high (64%), credit quality (54%), culture at the target (49%) and regulatory concerns (17%). McKinsey research projects increasing automation could reduce bank profits by $45B by 2020. Pew research finds that as of the end of last year there were 58.1mm millennial workers in the US labor force, ranking this group #1 in size vs. 52.9mm Gen X workers coming in at #2. The Digital Banking Report finds that the top 3 priorities financial institutions said they were trying to achieve included such things as redesigning or enhancing the digital experience (71%), enhancing data analytics capabilities to identify customer trends (50%), finding ways to reduce operating costs (41%), increasing investment in innovation (26%), meeting regulatory and compliance specifications (22%), updating or replacing components of a legacy operating system (22%) and recruiting or retaining talent to meet changing needs (20%). A Deloitte survey of large banks on CECL finds banks that project their total impairment number upon adoption would increase by more than 10% for each asset type are: consumer loans (75%), mortgages (71%), commercial loans (54%), credit cards (39%) and securities (13%). Bank of America reported its mobile check deposit now averages 340,000 checks per day or about the same as 880 financial centers.